As the dawn broke over the North East of England yesterday, a strange feeling stirred in some football fans. Supporters awoke to derby day…but a derby day with a difference. This time, rather than the local rivals from the northerly direction, Sunderland AFC welcomed ‘local’ rivals from the southerly direction! 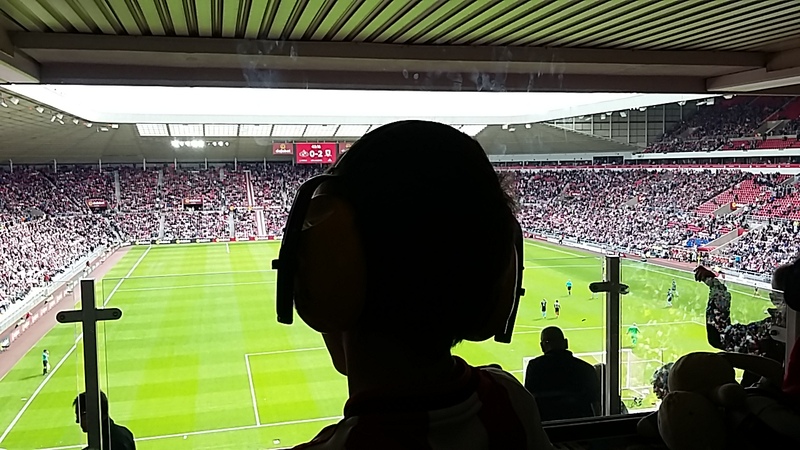 It has been seven years since Middlesbrough played in the Premier League and they were jumping into the game two feet first as they visited Sunderland AFC for Sunderland first home game of the season! And without further ado, The Nathan Shippey Sensory Room was, again, at full capacity! It was wonderful to have the company of Molly and her mam Jaqueline and Harry with his dad Andrew! Unfortunately, although Sunderland played well, the result was not meant to go our way, and the Middlesbrough fans had a very happy journey home! Here’s hoping our next game will bring us a point…or three!